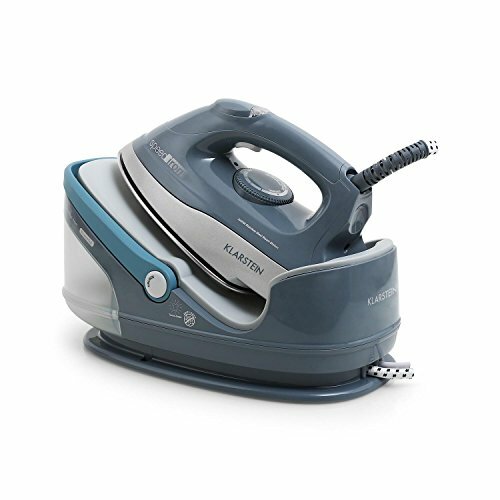 What is a steam generator iron ? 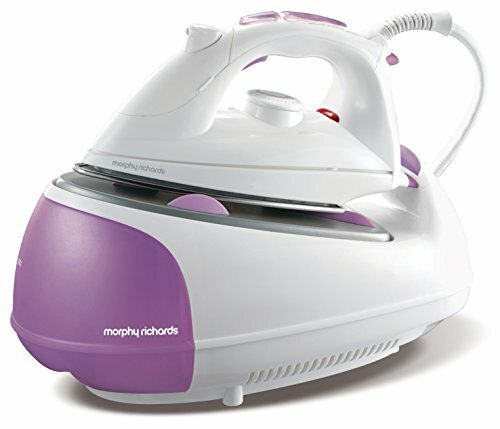 How to choose your steam generator iron ? 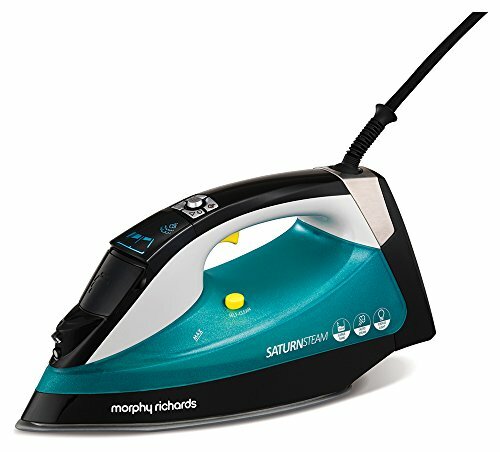 How to use a steam generator iron ? Ironing is a task that requires a lot of time and energy, especially in a large family. Are you looking for a solution desperately? Don’t worry, using a steam generator iron will be a time saver. It would be a shame to miss out this opportunity. 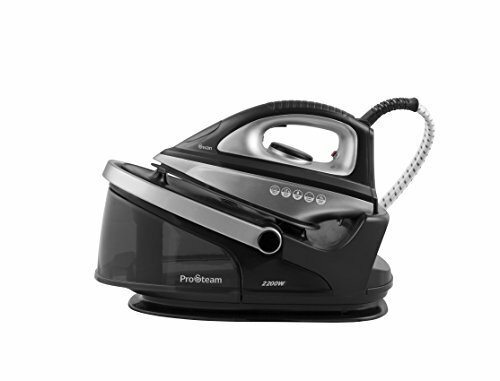 To help you choose the perfect model of steam generator iron that will meet all your expectations, you will find below our complete buying guide. 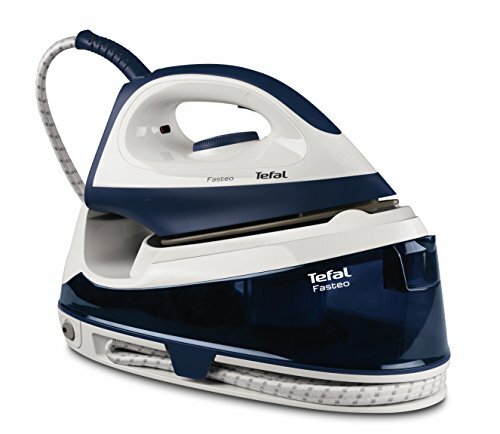 The Tefal GV9071 Pro generator iron is really powerful and provides fast ironing. The steam from the machine enters the heart of the fibers to get rid of pleat quickly and efficiently. Thanks to OptimalTEMP technology, you can switch from one cloth to another without adjusting the temperature. The tank has a capacity of 1.6 liters and the product is equipped with a very impressive anti-scale system: Pro Express Care Anti Scale. 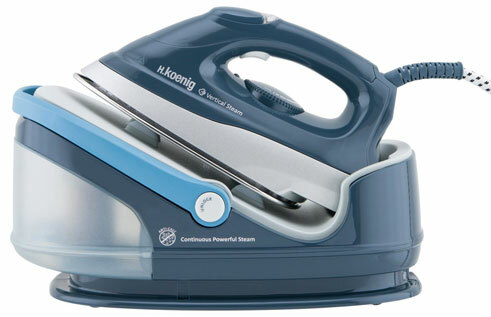 This iron has a power of 2400 watts and a steam power of 3.5 bars. With a weight of 3.9 kg, you can easily carry it wherever you want. The capacity of the water tank is 1.7 liters which allow you to iron your clothes with ease without the need to fill it every second. By purchasing this product, ironing will become a pleasant task. The low price and the characteristics make this product the best value. The Klarstein Speed Iron offers high-performance that equals the power of other brands. A good alternative to the usual Calor and Philips. 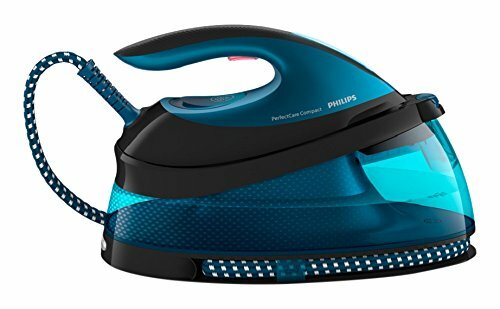 The Philips GC9630/20 is an ultra-light iron: 0.8 kg , equipped with OptimalTEMP technology, a powerful and safe system : waste no more time pre-sorting laundry or waiting for temperature settings to adjust. The flow of the steam is 130g per minute, and the iron is very light. There is a light signal that warns you to avoid scale build-up in your machine. 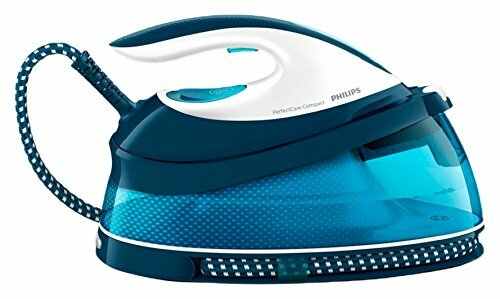 The Philips GC9630/20 is powerful device that will meet all your expectations whether you are a regular user of steam generator iron or if this is your first purchase! The pressure of the Calor GV7091C2 steam generator iron is 4.8 bars, and its autonomy is unlimited, for optimal comfort. 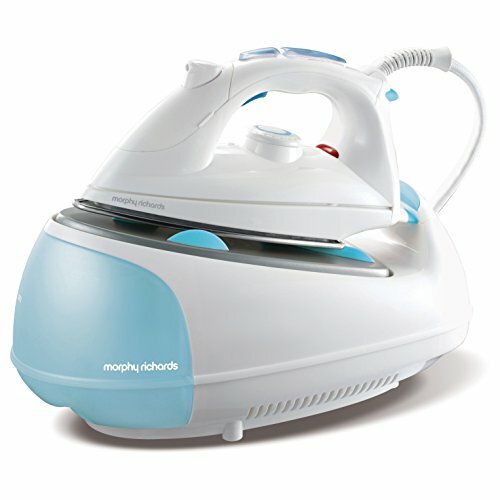 Ready in 2 minutes, you can enjoy a steam flow of 100 grams per minute, and iron your clothes safely. This steam generator offers a set of adjustments that can be done manually, which ensures optimal results for all your clothes. Replaceable anti-scale cartridge to help prolong the life of the product. Its large reservoir, high pressure and Ultragliss Diffusion soleplate make this product a major challenger against Philips and other Klarstein Speed Generator Iron. ✓ With its active lines, the enamel Ultragliss Diffusion soleplate lets the iron slide smoothly. 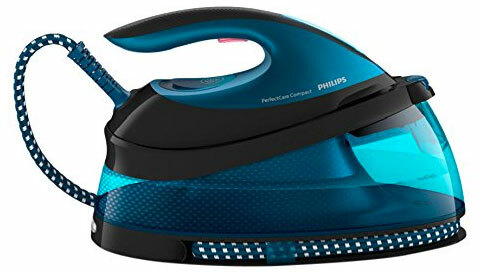 The Philips brand offers many steam central on the market actually, including this one, which comes with OptimalTemp technology. 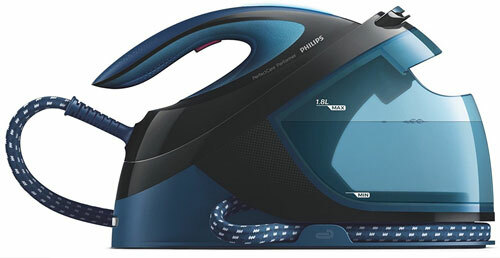 The Philips GC7833/80 has a total power of 2400w for 120g/min of steam flow. Very compact, you can carry it with you easily, there is an automatic stop for maximum safety. Ready in less than 2 minutes, you will be satisfied with this product, for sure! 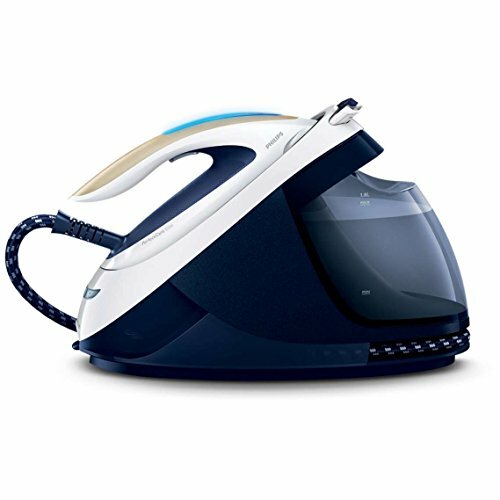 The steam generator iron is a device that has the ability to produce steam much faster than an iron. The task becomes easier, since the high-pressure steam makes it possible to iron a fabric on both sides at one time. In addition to that, the tanks are much larger, and the prices are attractive. These products are very popular on the market, and there are several models. To help you make your choice, here are some criteria to consider. Good to know: the same technology is used in other home appliances such as steam mop or steam cleaner. This time, the high temperature water is used as a cleaning agent. A 100% ecological process. The power of a steam generator iron is indicated in three figures, and expressed in watt, then in bars. The power in watt is not that relevant, but the one in bars is much more interesting. Actually, we recommend you to choose for a product with at least 3.5 bar to be really effective. Note that it is also important to get information about the steam flow that is expressed in grams per minute. Of course, your product must be ergonomic and easy to handle. Here, it will be necessary to check the weight, the length of the cable and the position. These are important criteria to take into account in order to avoid disappointment in your purchase. A steam generator iron takes more space than an iron, so you will need more space to store your equipment. You should know that few models require a table at least 45 centimeters wide for example. Check it out carefully. Preheating the steam generator iron can be noisy and take several minutes. Depending on the model you choose, it takes more or less time to turn the water into steam. This is an important point not to neglect. 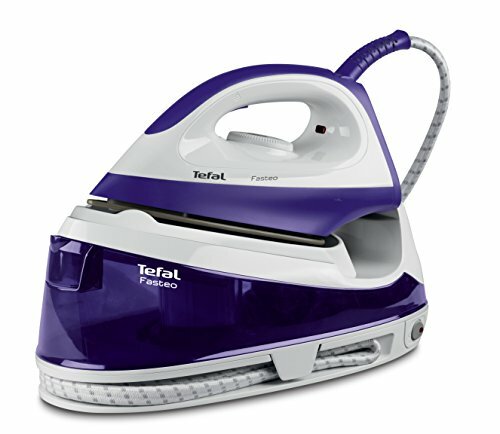 For steam generator iron, scale can be fatal. As a matter of fact, to increase the lifetime of your device, it is essential to worry about it and check the presence of anti-scale system on your equipment. 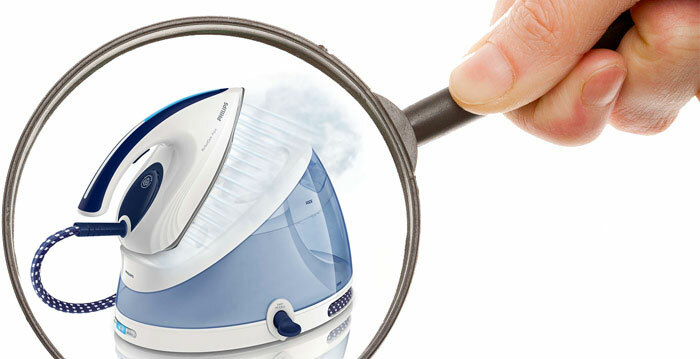 For certain models, an indicator flashes when it is time to empty the anti-lime or descale your steam generator iron. An essential function so that you do not need to check every day the presence of limestone or not. The tanks of the steam plants vary according to the models and brands. This is a point that is becoming less and less important today because most machines can be filled while you use them. The capacity of the tank generally oscillates between 1.2 and 1.8 liters for the largest volumes. 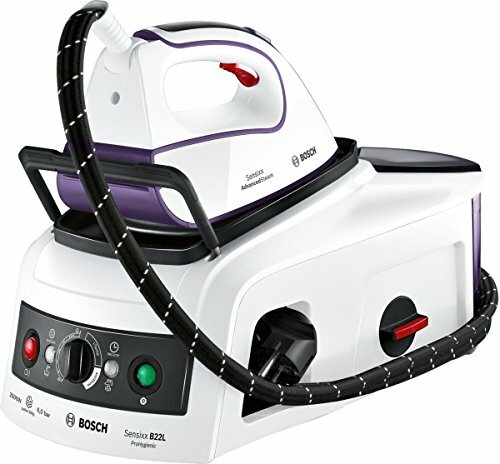 The main advantages of a steam generator iron are undoubtedly the following ones. The first is related to simplicity of ironing thanks to a higher water flow than a conventional iron. Indeed, the product is much more powerful. Then the second is the larger water tank, which allows you to iron for many hours. Finally, the last is related to the features, since the options on these devices are diverse. 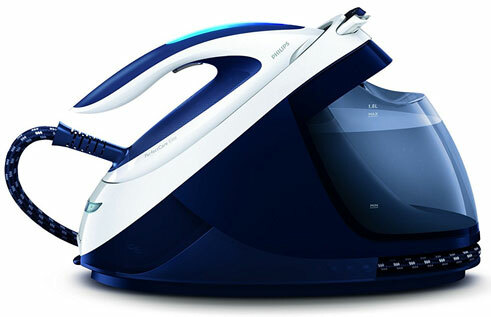 The use of a steam generator iron is relatively simple. First of all, you have to know whether your device is automatically adjusted or not. If this is not the case, it will be necessary to sort the laundry according to the fabric. Then you can fill the water tank, after that turn on the machine. Once preheating is done, you can start ironing your clothes by pressing the button to diffuse steam. 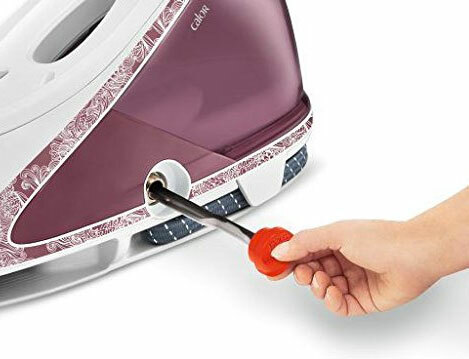 Be advised that on an iron, you can find the temperature control knob, and choose a continuous steam if needed. 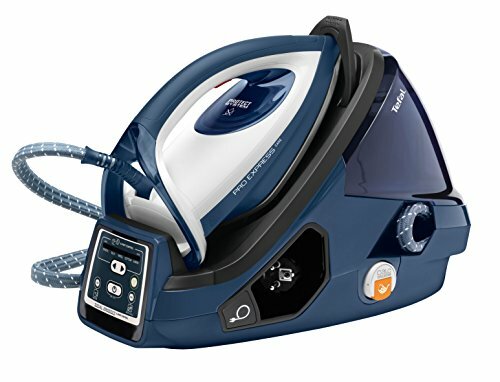 Through this guide, we tried to highlight the criteria to be taken into account before the acquisition of a steam generator iron and the best products of the moment. We hope you will quickly find the model and brand that will meet your expectations.